Zugspitze means "train peak" in German, and several cable cars and underground trains take millions of tourists to the summit, which features a restaurant, bar, observation tower and several souvenir shops. 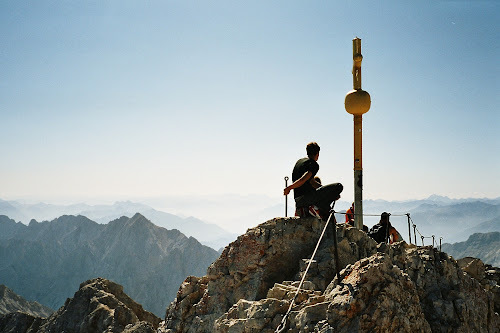 Because of the crowds I was not tempted to visit the mountain at all, but due to the fact that Zugspitze is the highest peak in Germany, I decided to go for it, even though the only purpose would be to increase my tiny collection of country highpoints from 3 to 4. Zermatt is one of my favorite places in Europe. 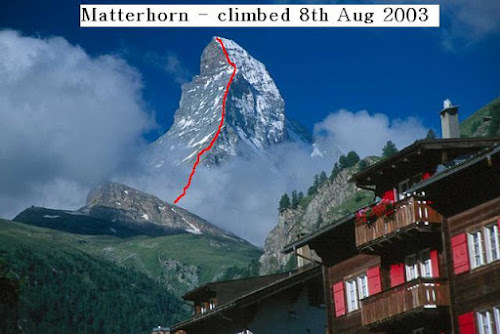 When I returned in the summer of 2003, I had already decided that Zinalrothorn was going to be one of my climbs. 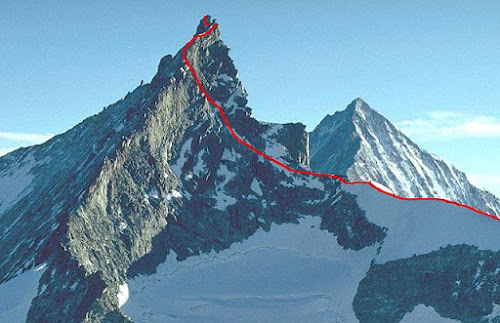 It's maybe not as high and famous as Matterhorn and Weisshorn, but the spectacular summit spire makes it much more exciting than the two other summits. 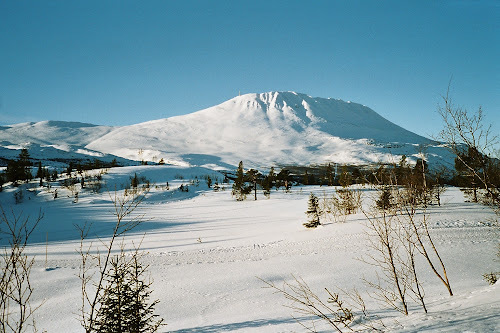 The first time I visited Gaustatoppen in 1998, it was cloudy and almost no visibility. 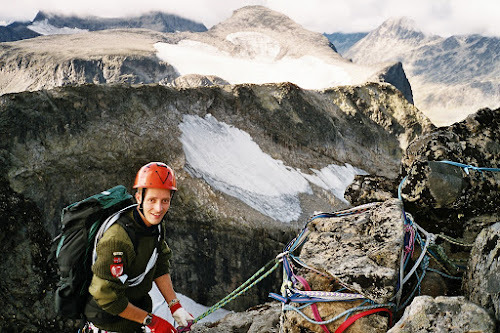 But when I went back in the winter of 2003, the sun was shining from a cold and cloudless sky. First then I realized what a beautiful peak this is.